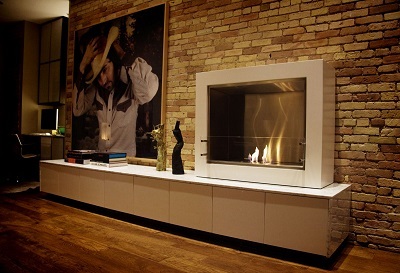 Ventless fireplaces are known for the fact that no chimney or vent is used during their use. It is a trait lots of homeowners are finding advantageous, essentially because it is not expensive as compared to the normal fireplace using wood or propane. As a result, this fireplace does not require many things necessary while using other types of fireplaces especially in the area of complicated installation and maintenance. Ventless fireplaces are very safe, the reason why they are ideal for homes with little kids. A number of things have to be brought into the picture as you get down finding a ventless fireplace to add some needed warmth into your home. You might have to select between gel fueled and gas fuelled ventless fireplaces with the one you choose guided by your personal installation preferences. For those who want some heat, gas ventless fireplaces are much better since natural or propane gas is used. In case ambiance is very important to you, gel-fueled types are what you need to choose from since they burn gel fuel for heat. For gas fueled ventless fireplaces, you should be near a gas line while in a gel-fueled no attachments are required like gas lines, electric connections, hookups and lots of other connective accessories. The safety of the ventless fireplace is also a benefit many love. The protocol is that this type of fireplace should not be installed in a room with smaller dimensions than the manufacturer recommended surface area. This is the reason why as you go shopping for the ventless fireplace you must have a good idea about the area the fireplace has to be placed while selecting fireplace packages ideal for the dimension‘s of the room. You can also buy a ventless fireplace with an oxygen depletion sensor already installed. The sensor automatically shuts off the fireplace once the levels of oxygen are discovered to have dropped. After setting up the fireplace and it is properly functioning, ensure it is not left to run on its own without anyone at home. If you have to be absent, switch it off until you return. The prudent thing to do once the fireplace has been running for about seven hours without stopping is giving it a break. In case you also have to place anything on top of the ventless fireplace, the total weight should be equal or less than the total weight the fireplace is able to carry. The room’s surface area where the ventless fireplace will be placed should be clear in your mind, something you can do by multiplying together the width and length. If there are children in the home, you might want to ask them to avoid drawing so near to the fireplace. Most local and state laws are very clear about fireplaces and knowing all you can about what is required and what isn’t is quite important. Ventless fireplaces are ideal for those who own public catering areas, a diner, restaurant or hotel or an entire building hosting a hospitality business. No special maintenance is required by them and thus a wonderful choice, anytime. Crystal is a home maker and a part time blogger who loves to write resourceful articles on home improvement tips. Recently she reviewed electric fireplace available at Ventless Fireplace Pros and found that they also offer environment friendly fireplace aswell.